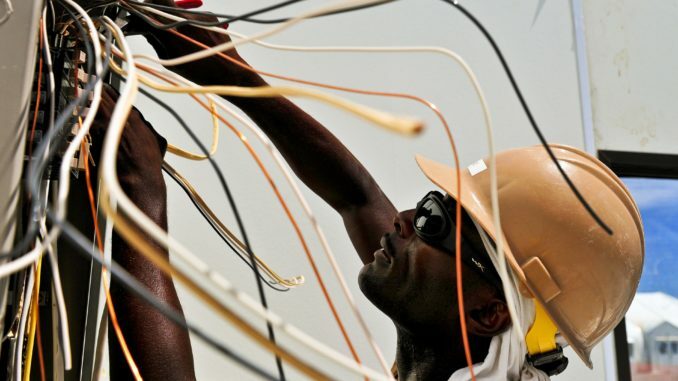 If you are an electrician, there are some basic wiring methods I’m sure you are familiar with. Homeowners with some knowledge of residential electrical systems may also want to familiarize themselves with some of these methods. It can help them to understand electrical problems that occur in their homes. Whether you work with electricity professionally, or just want to do some work around the house, here are some basic wiring methods you should be familiar with. The utility company provides electricity to power homes and businesses. In order to get the electricity into the building, the connection must be taken from the main switchboard into the home. Various types of loads run through this main switchboard and different types of wirings are used. These can be applied for residential, commercial and industrial purposes. Here, PVC insulated cables are used. They are fastened to the wall using porcelain, wood or plastic cleats which are installed at intervals that are .6 km apart. This type of wiring is relatively inexpensive but is also best for temporary applications and is not suitable for home electrical wiring. It is rarely used in modern times. The cable runs through a wood casing that has parallel grooves that appear at regular intervals along it. The casing is fixed to ceilings or walls with screws. It is then covered with a cap so that the wires are protected. This system is also relatively inexpensive but there is a high risk of short circuits that can result in fire hazards. Batten wiring is one of the basic wiring methods that is used today. In batten wiring, insulated wires are run through the straight teak wooden battens. These are fixed on ceilings or walls with plugs or screws. The cables are fitted onto the battens with tinned brass link clips that are fastened on with rust resistant nails. This is a simple and efficient form of wiring that is mainly used for indoor installations. Conduit wiring uses PVC cables that are threaded through PVC or steel conduit pipes. If the pipes run on the surface of the walls and ceilings, it’s called surface conduit wiring. If it runs inside the surface of the walls and covered with plastering, it’s called concealed conduit wiring. 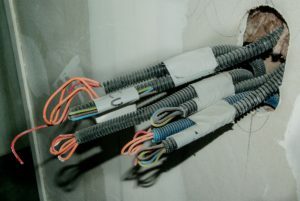 Surface conduit wiring is used in industrial applications to connect heavy motors. Concealed wiring is used in residential applications and is the most popular of the basic wiring methods for residential use because it is safer and aesthetically pleasing. 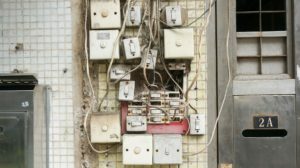 If you are an electrician or doing electrical wiring in your home, it is important to be familiar with these basic wiring methods. That way you can better understand what type of work is needed in your home. However, while being familiar with the cabling in your home may be helpful, you should not attempt to perform any electrical work unless you are a trained professional. Good luck solving the electrical issues in your home safely and efficiently.